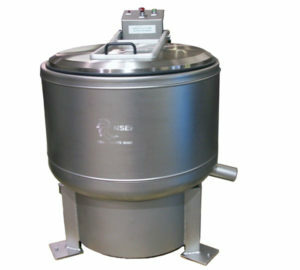 The perforate bowl basket centrifuge can be used for a wide range of liquid / solid separations. At speeds of 1750 rpm the Model 805TX is capable of removing oil from absorbent pads. These pads can often be reused multiple times.